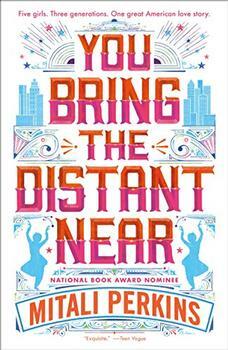 American-born seventeen-year-old Maya Aziz is torn between worlds. There's the proper one her parents expect for their good Indian daughter: attending a college close to their suburban Chicago home, and being paired off with an older Muslim boy who's "suitable" to her mother. And then there is the world of her dreams: going to film school and living in New York City - and maybe (just maybe) pursuing a boy she's known from afar since grade school, a boy who's finally falling into her orbit at school. There's also the real world, beyond Maya's control. In the aftermath of a horrific crime perpetrated hundreds of miles away, her life is turned upside down. The community she's known since birth becomes unrecognizable; neighbors and classmates alike are consumed with fear, bigotry, and hatred. Ultimately Maya must find the strength within to determine where she truly belongs. Sure, it can be all heart bursting and undeniable and Bollywood dance numbers and meet me at the Empire State Building. Except when someone else wants to decide who I'm going to sleep with for the rest of my life. Then destiny is a bloodsucker, and not the swoony, sparkly vampire kind. The night is beautiful, clear and bright with silvery stars. But I'm walking across a noxious parking lot with my parents toward a wedding where a well-meaning auntie will certainly pinch my cheeks like I'm two years old, and a kindly uncle will corner me about my college plans with the inevitable question: premed or prelaw? In other words, it's time for me to wear a beauty-pageant smile while keeping a very stiff upper lip. It would be helpful if I could grow a thicker skin, tooarmor, perhapsbut we're almost at the door. My purse vibrates. I dig around for my phone. A text from Violet: You should be here! In Samira Ahmed’s thoughtful debut novel, Maya’s first-person narrative alternates with more ominous passages fueled by hate and dread, passages that initially may unsettle readers and eventually may force them to wrestle with their own prejudices and preconceptions. 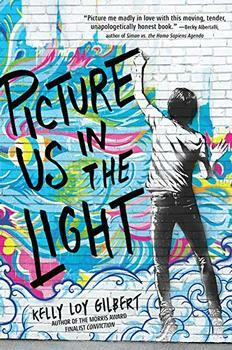 The shift from straightforward young adult romance to a more intense story of intolerance and hatred may seem abrupt or even jarring to many readers, but in the end, this backdrop helps provide context for Maya’s personal conflicts and illustrate how her particular struggles are both universal and also specific to her identity as a young American Muslim woman of Indian descent. (Reviewed by Norah Piehl). A well-crafted plot with interesting revelations about living as a second-generation Muslim-American teen in today's climate. Starred Review. The characters are fully dimensional and credible, lending depth to even lighter moments and interactions. Alternately entertaining and thoughtful, the novel is eminently readable, intelligent, and timely. Ages 14–up. Starred Review. Utterly readable, important, and timely. Starred Review. Sweet and smart with a realistic but hopeful ending, this novel is a great examination of how hatred and fear affects both communities, and individual lives. Recommended for all libraries serving teens. Love, Hate & Other Filters heralds a dazzling new talent. Samira Ahmed creates a masterful alchemy of heart, humor, profundity, poetry, romance, and humanity. Through the eyes of the richly drawn Maya Aziz, we get a powerful, timely-yet-timeless, and poignant story about the delicate dance of coming of age in two cultures. A heartbreakingly beautiful debut that weaves together the rush of new love, the shock of old hatred, the pressure of protective parents and the culture clash between generations - in other words, a cinematic glimpse into one experience of growing up Muslim in modern America. Love, Hate & Other Filters made me laugh and made me cry. Maya Aziz is a teen everyone needs to know. Her story - an exploration of the unique challenges Muslim Americans face as she pursues her dreams, falls in love, and finds her place within her family and her faith - is one that will stay with me forever. A much needed addition to the young adult canon. Love, Hate & Other Filters hit so close to home, it sometimes hurt to read. I laughed at Maya's wry observations and wept at her profound ones; this book is a searing, honest portrait of what it really means to be a Muslim American teen loyal to two cultures and figuring out how to carve out a space of her own in between. This smart, heartbreaking, honest debut novel is as timely as it is hopeful. Ahmed tackles weighty issues with thoughtfulness and flair. I was completely swept away. Love, Hate & Other Filters shines with heart and hope in the face of prejudice. Samira Ahmed is a bright new star in the YA firmament.